For immediate removal of your ice dams, you need a roofing specialist. To prevent ice dams from happening in the first place, you need to seal air leaks and improve the insulation in your attic. By focusing on insulation and air sealing, Dr. Energy Saver Of Connecticut is able to keep attic temperatures down, which prevents melting snow and ice dam formation. At the same time, these measures improve the energy efficiency of your home! Call us at 1-855-201-5406 or click the button below to request your in-home energy audit and free estimate! 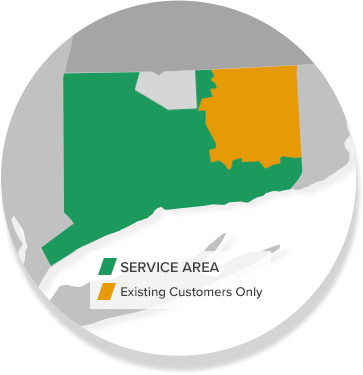 We service Stamford, Norwalk, Hartford, New Haven, Danbury, Greenwich and surrounding areas. Get A FREE Ice Dam Quote! Large icicles hanging off the edge of the roof is a tell-tale sign of ice damming. This Glastonbury home even has icicles forming on the siding! Attic vents are less necessary in an attic that is properly air sealed, insulated, and has its ducts taken care of properly; however, the ducts will keep the roof deck very close to the outdoor temperature, since they don't have all the heat (and moisture) to vent out as they did before the home was "fixed." 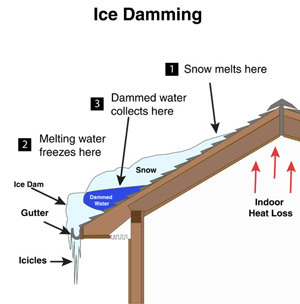 For an effective solution to your ice dam problem, contact the energy specialists at Dr. Energy Saver Of Connecticut today to request an inspection and get a free estimate to upgrade your home insulation. We work in Darien, New Canaan, Westport, West Hartford, Ridgefield, Hamden and throughout the state.